Are you planning for summer travel with your family in Federal Way, Washington? Before you get on the road, be sure to schedule some pre-trip vehicle maintenance. Driving for long periods in the summer heat puts additional strain on your vehicle’s engine, so stop by your local auto shop for some pre-trip vehicle maintenance in Federal Way. Summer months are accompanied by heat that impacts the way your tires perform, so scheduling vehicle maintenance before a long trip is an absolute must. Your auto technician will inspect your tires for any punctures, uneven tread wear, and sidewall damage to ensure that your vehicle is safe. You may want to request alignment service as well. The battery in your vehicle is designed to recharge naturally as you drive, but it does have limits. Have your auto technician perform the simple vehicle maintenance task of testing your battery. Modern battery test systems estimate how much longer your battery will last so you can replace it before problems occur. It goes without saying that maintaining your brakes is an important part of overall vehicle maintenance. Have your auto repair expert inspect the brake pads, calipers, rotors, and any high-pressure hoses for damage or wear. Your trusted auto technician will recommend any replacements or repairs needed so that your vehicle stops when you need it to. Need to Schedule Vehicle Maintenance in Federal Way? Do you need to schedule vehicle maintenance services in Federal Way, Washington? 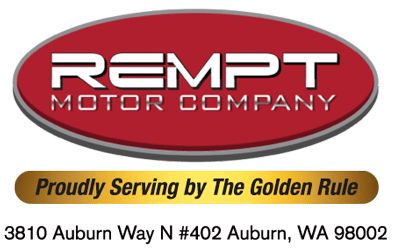 Look no further than Rempt Motor Company in Auburn. Our technicians will treat your vehicle like it’s their own. We provide a variety of expert auto services, but specialize in European auto repair and Volvo repair and service. Visit our website or call (253) 289–7360 to schedule your vehicle maintenance appointment in Federal Way today. Posted on June 15, 2018 under in advice | By remptmotorco. We had the need for a vehicle inspection on a used car we were buying in Auburn and spoke to Zach which was very informative and flexible on bringing car in with adjustments to looking at it on short notice. They looked car over and pointed out some things and provided checklist. Thought reasonable at $236 including tax.assuming the car works out and the alignment issue is just an adjustment and not something major i think was good experience and recommend them.sorry picture is so bad as i was preocupied with trying to get my daughter a dependable car The location is a bit tough to find as they are tucked away behind buildings in back corner. Needs better signing. I bought my new car from Rempt Motor Co and I couldn't be happier. Great car at a really good price! I have been bringing my cars to them for years and will continue to do so. Can't beat their professionalism and customer care. First time customer and was very impressed with their attention to detail, their customer service and their professionalism. I definitely will be a returning customer and highly recommend them for your German car needs. Tris company hires people that don’t have your best interest at heart! He has been servicing family autos for years: If Josh fixes it, it is all good! 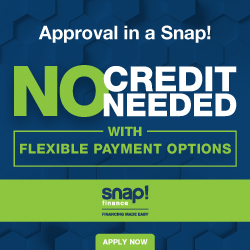 Copyright © 2019 Rempt Motor Company All Rights Reserved.